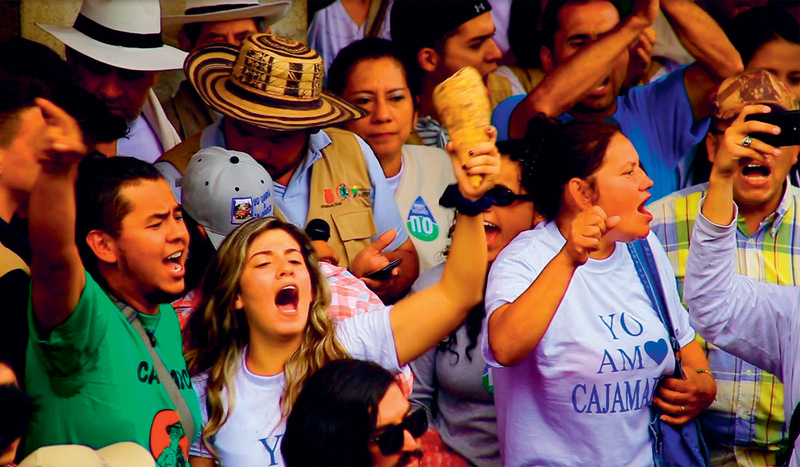 Cajamarca celebrates a landslide victory after a popular vote against La Colosa mine. To date, AngloGold Ashanti, the second biggest mining company in the world, has invested $900 million in Cajamarca to explore the potential of creating Latin America’s biggest goldmine. Its potential impacts include the destruction of local ecosystems and displacement of communities. ‘This victory shows the world that the people can win. Those in power will have to listen,’ says Maria Camila, a member of Cajamarca-based youth-led activist group Cosajuca. This was not an easy win, and may yet be appealed by the mining company. Nevertheless, it demonstrated the power of both strategic grassroots organizing and the use of legal channels to challenge corporations operating in Colombia. Consultas populares have also been called in other towns including Ibagué, Monterrey, Pueblorrico and Pijao. The vote in Cajamarca comes hot on the heels of the historic 2016 Colombian peace agreement, which ended a 52-year war between the state and guerrilla army the Revolutionary Armed Forces of Colombia (FARC). Sadly, peace has so far failed to stop violence against human-rights defenders in rural areas. In 2017, an activist has been killed every second day, according to advocacy group ABColombia. Cajamarca is no exception. Camila reports that members of her group Cosajuca have received death threats as a result of their political activism, and a local leader was killed in March. Even more worrying, this comes at a time when the Colombian Ministry of Mines and Energy is undermining the referendum by claiming the result cannot be applied retrospectively to existing projects. This serves to legitimize threats and endangers the lives of activists. Women like Camila will need support and solidarity from the international community to consolidate this triumph and go on to inspire others in the Global South to organize to protect their territories.